In an ideal world most of us would have a garden basking in glorious plants, greenery and everything else that ticks the aesthetics boxes. Unfortunately, ideal worlds are hardly commonplace anymore. 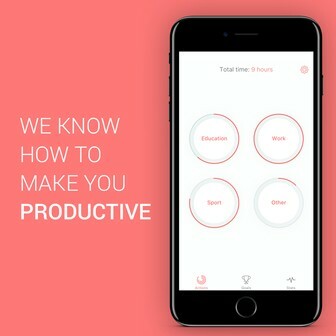 Instead, time is of the essence – to put it mildly. Most of us are more concerned about staying on top of the rest of our home, and it can mean that certain areas of home improvement (such as the garden) are overlooked. Well, one of the best ways you can improve this area of your home is to do the most fashionable thing on the market right now – making it as maintenance-free as possible. That’s right, keeping a garden looking pretty without the need to spend hours a week on it is bang on trend – and will appeal to the vast majority of house hunters on the market. We have put together the following suggestions which can help you on your way, and ultimately make sure that your home keeps turning heads, whilst you barely lift a finger. For anyone who takes their gardening seriously, we’ll apologize in advance. 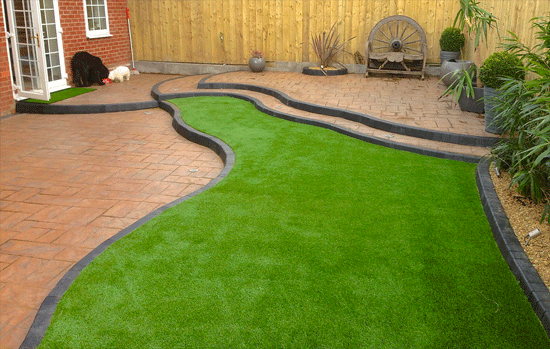 However, if you are serious about making a big maintenance-free change to your garden, few people would disagree that artificial turf takes a lot of time and pain out of the equation. Little needs to be said about how this works – it’s a synthetic form of grass that looks incredibly realistic, yet doesn’t require any work. There’s no cutting, trimming or anything else along those lines. Over the last few years the look of this turf really has taken a turn for the better and unless you get up close and personal with it, it’s very hard to distinguish the difference between the real thing. 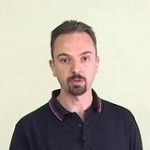 At this point we should probably make our apologies to the gardeners again – this is something that won’t be popular amongst this group but again, from a home improvement perspective, it’s proving to be hugely effective. Sure, we’re not advocating that you deck out your entire yard so there’s no green whatsoever, but you can eradicate a lot of work by installing decking in at least some areas. Suffice to say, as it’s probably replacing soil or some form of greenery, the days of weeds are long gone. 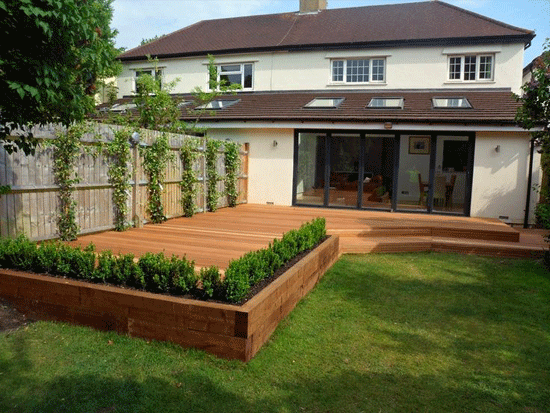 As well as this, it provides the perfect platform to sit out and relax on – it doesn’t have to be the eyesore that some gardeners tarnish it as. The previous two suggestions might be bordering on the extreme – both involve completely removing the natural turf from your garden. As such, if you’re not on board for such drastic action, it might be time to meet with a compromise. 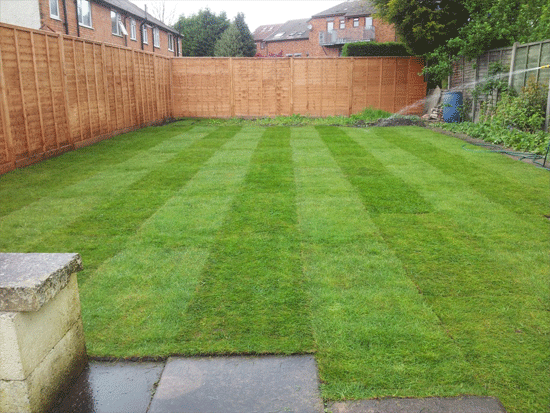 If your garden currently takes advantage of a very high-quality turf, there’s no doubt that it’s going to look the part. Unfortunately, with beauty comes a lot of hard work, and you’ll have probably been told about all of the scarifying, aerating and extra mowing that’s needed with turf of this ilk. 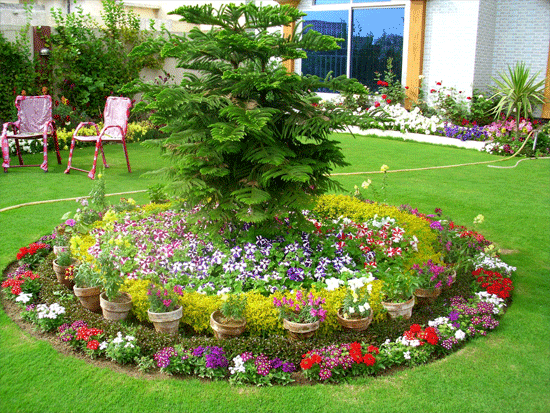 As such, it’s sometimes advisable to opt for turf which isn’t quite as high in quality. Generally, this will be marketed as “multi-purpose” or “hard wearing”, and this doesn’t mean that it’s bad quality. It’s simply not quite as nice as some of the premium brands, but the upshot of this is that you don’t have to invest as much time in keeping it looking the part. 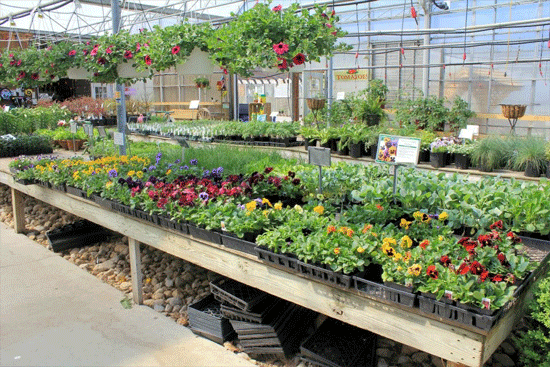 Few people would disagree that bedding plants provide a garden with immaculate beauty – but it does come at an immense time cost. Most of these bedding plants are seasonal and as such, you’ll find yourself spending a huge amount of time replacing them. As such, our advice is to switch from bedding plants and move towards borders. Keep permanent plants within these borders, and this should ensure that your workload decreases substantially. This is another one of those instances where beauty might have to be sacrificed for a little time, as we all know the benefits that a water feature can bring to a typical garden. Unfortunately, from algae problems to basic cleaning, they do have to be kept on top of. 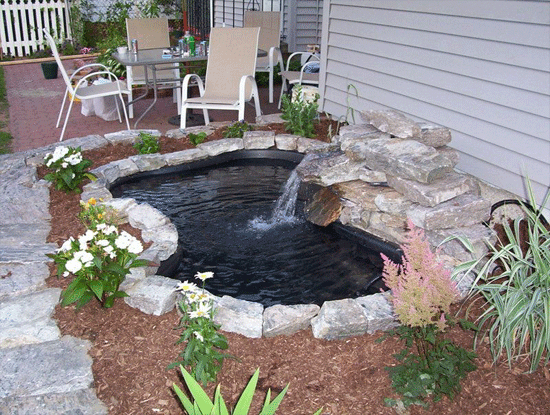 Before you consider filling your pond in now though, there might be a compromise. If you can keep fish and wildlife out of your pond you will immediately make your life a lot easier, for the simple reason that it will retain its balance much more easily and the risks of weed and algae developing decreases immensely. Perhaps one of the best home improvement suggestions that you can carry out, particularly if you are looking for the ultimate curb appeal, is to invest in weed control on your borders. While garden aesthetics is always going to be a subjective topic, the variety within mulches means that you can select something which suits your own tastes down to a tee. Before we move onto mulch, let’s talk about the basics of weed control. In simple terms, this is a membrane formed out of canvas that can stop weeds in their tracks. Around borders, where they seemingly spring up all over the place, this is absolutely invaluable. Once you have laid this around your plants, it’s time to choose the mulch. 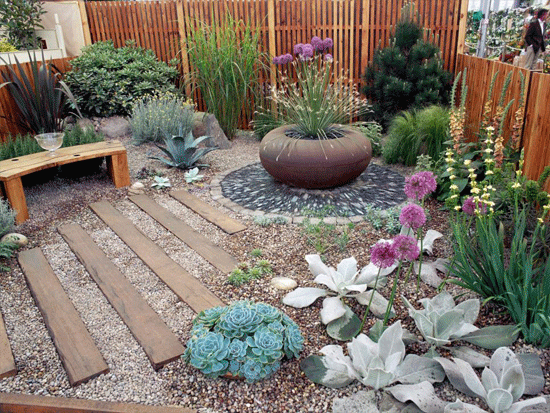 Common examples are wood chippings and gravel – with both offering something completely different to your garden. It not only sends weeds to the backburner, but it also brings some different colors and style. 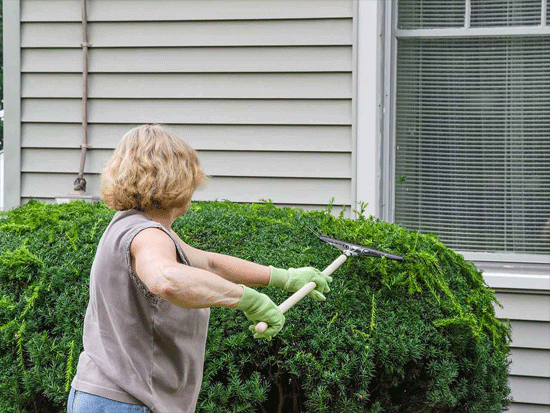 Curb appeal is a huge issue when it comes to home improvement tasks, and if your garden has a gigantic hedge that can’t stop growing it’s just asking for trouble. We’re by no means suggesting that you abandon hedges completely, but opting for something that’s slow growing (with yew and holly) being prime examples, might be a better solution from the low maintenance perspective.